Being willing to take responsibility for your life and where you are at the moment. The victim mentality is a trap to exile you from any possibility of self-liberation. Forgive yourself and everybody involvedin the situation that needs to be improved. Resentment and guilt are poison to the heart. Forgiveness is the only way out of emotional suffering. Angelic Guidance is very useful in this process as very often the subject is not ready to forgive yet. Forgiving self appears to be the most difficult thing to do. See article: " Healing is Forgiveness". "Let go, let God" attitude. Zen philosophy: Let go of the need to be right. Accept what is. Let go of all resistance, including self-judgment. Remember that "where your attention goes, energy flows": what you think is what you have drawn into your life. Loving thoughts will bring loving experiences,etc. Faith.To receive the grace of healing you need to believe in your ability to co-create with the Divine. 7. Gratitude. With a heart full of gratitude you can manifest miracles. Infuse all your senses with full confidence, faith, trust and joy to receive the Grace of Healing, the ultimo gift of Peace. Fabienne Marneau founder of Destination Harmony and Heart Soul Therapy invites you to realize the highest possibilities of your destiny through holistic natural healing therapies, spiritual self-help empowerment and inspired creativity. 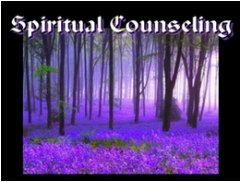 Transpersonal Hypnotherapy, Past Life Regression Therapy to find the cause of present emotional blocks or health challenges; Time Line Therapy to clear Post Traumatic Syndromes, help find solutions; Emotional Release Therapy. 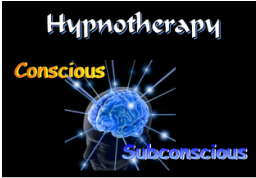 Clinical Hypnotherapy successful for smoking cessation weight control without dieting, rejuvenation, forever young anti-age system, stress free, and relaxation. Palmtherapy for traumatic memories, grief, phobias is a mind programming healing technique also efficient when working with children. Crystal Therapy to harmonize and clear Chakra; Therapeutic Dowsing and Telepathic Healing. Fabienne expertise as Aesthetician (Skin Care specialist) and Energy Practitioner combined with a genuine passion for Beauty, Art and wellness make the experience of rejuvenation, relaxation and even healing a real pleasure and comfort for the body and the soul.